Create physically realistic 3D Graphics environments with this introduction to the ideas and techniques behind the process. Author David H. Eberly includes simulations to introduce the key problems involved and then gradually reveals the mathematical and physical concepts needed to solve them. He then describes all the algorithmic foundations and uses code examples and working source code to show how they are implemented, culminating in a large collection of physical simulations. 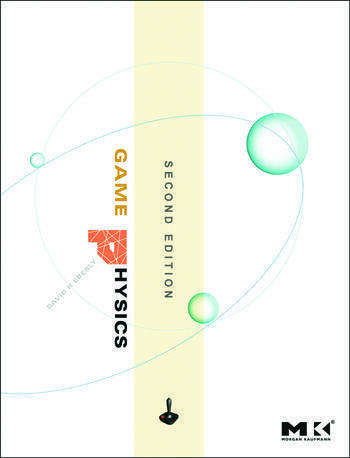 The book tackles the complex, challenging issues that other books avoid, including Lagrangian dynamics, rigid body dynamics, impulse methods, resting contact, linear complementarity problems, deformable bodies, mass-spring systems, friction, numerical solution of differential equations, numerical stability and its relationship to physical stability, and Verlet integration methods. This book even describes when real physics isn't necessary - and hacked physics will do. 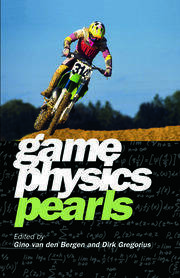 "Game Physics is a comprehensive reference of physical simulation techniques relevant to games and also contains a clear presentation of the mathematical background concepts fundamental to most types of game programming. I wish I had this book years ago." -Naty Hoffman, Senior Software Engineer, Naughty Dog, Inc.
"This comprehensive introduction to the field of game physics will be invaluable to anyone interested in the increasingly more important aspect of video game production, namely, striving to achieve realism. Drawing from areas such as robotics, dynamic simulation, mathematical modeling, and control theory, this book succeeds in presenting the material in a concise and cohesive way. As a matter of fact, it can be recommended not only to video game professionals but also to students and practitioners of the above-mentioned disciplines." -Pål-Kristian Engstad, Senior Software Engineer, Naughty Dog, Inc.